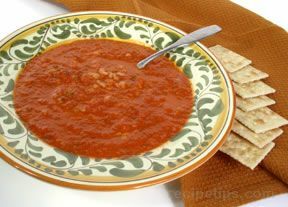 Blend cream cheese and stewed tomatoes. Sauté onion and garlic in butter. 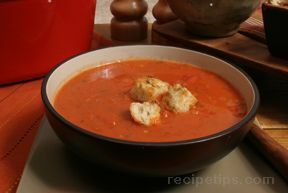 Whisk in tomato soup, V8 and tomato paste until blended. Gradually stir in cream cheese mixture, half and half and basil. Cook and stir until heated through but do not boil. 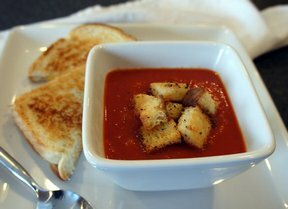 Sprinkle each bowl of soup with mozzarella cheese and croutons.